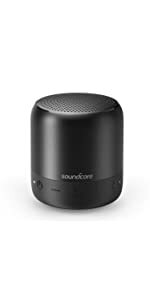 Anker SoundCore combines superior sound with precision design and our power management technology to create speakers which put your music first. 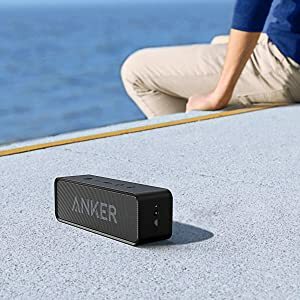 Great little speaker—especially for the price. 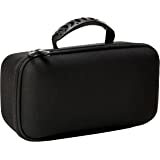 Sound is crisp and full, it looks great, and has a nice, solid heft to it. It's also extremely easy to pair to an iPhone. 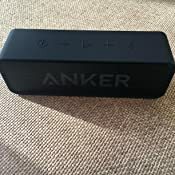 Once paired, it quickly and reliably connects to my phone when turned on. 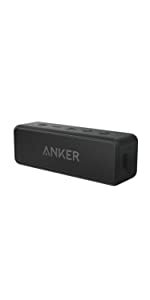 I get that Anker wants people to see their brand name and the white paint they used isn't so bright that the logo is obnoxious, but I still didn't want to look at it. So, using a metal pick in holes around the perimeter, I slowly and carefully pried off the grill. It's held in by tension and a very thin strip of black adhesive tape. Once the grill was off, I wrapped masking tape around the small ledge all the way around the grill. This was to keep from painting and ruining the black adhesive so I could reattach it later. If you use the slick, non-sticker paper from a sticker sheet you might get better results than I did. The masking tape took off a small amount of the adhesive, but it still worked. Then, with a $4 can of generic-brand metallic copper spray paint from the hardware store, I gave it a couple coats from all directions. Don't spray too heavily or you'll clog some of the small holes in the grill. IMO, it turned out perfect. Really classes up the little speaker. 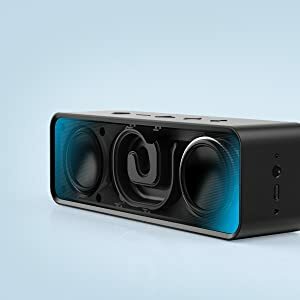 I was really excited about this speaker after reading the reviews, but it stopped working after three weeks. There are other reviews that mention this. Unfortunately I missed the return period so now I am stuck with a speaker that won't turn on. And yes I know how to charge it. 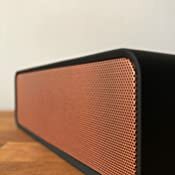 I hope the manufacturer reads this and wil exchange my speaker. 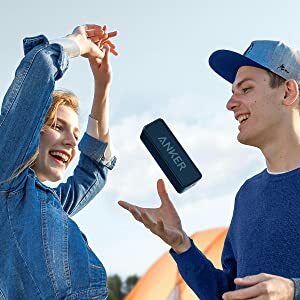 I bought their backup battery at the same time, so I know they have good products. Unfortunately this must be a defective speaker with the power button. 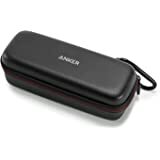 UPDATED 11/4/17 - I was immediately contacted by customer service at Anker after my review and they asked for my serial number of the defective speaker. They sent another one out free of charge. I was very impressed with their high level of customer service. So far the new speaker is turning on and I hope it keeps working. We were looking for a relatively inexpensive portable wireless Bluetooth speaker to replace a fun –looking Big Lots “boom box” style speaker that lasted for about a year. 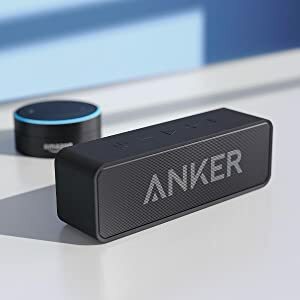 Our primary use is for streaming music or internet radio services such as Pandora and Spotify, and listening by the pool and while having dinner. 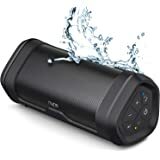 We were really hoping that the less expensive speakers would have been close in sound quality to the JBL Flip 3 Splashproof. Sadly,that just wasn’t the case. 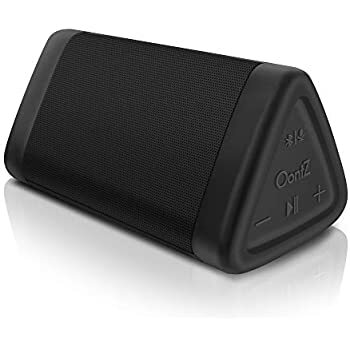 Upon the very first look, when opening up the box, you get a sense that Cambridge SoundWorks OontZ Angle 3 is a very no-frills, inexpensive speaker. 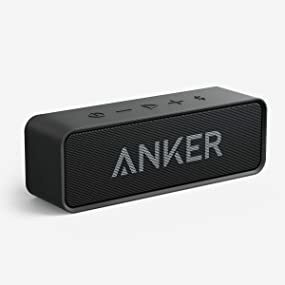 The packaging, the speaker, the extremely short, tiny USB charging cable. 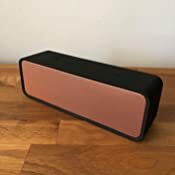 Visually speaking, this speaker screamed no-frills. 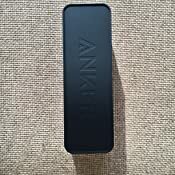 Conversely, the Anker SoundCore gave the impression that you were opening up a well-constructed, tiny speaker. 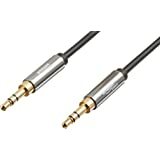 It was packaged nicely, easy instructions, it felt a lot more substantial than the Cambridge SoundWorks OontZ Angle 3. 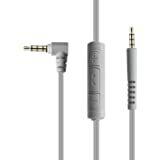 Aditionally, the USB charging cable looked like your average size charging cable for your portable devices. Last, was the JBL Flip 3 Splashproof. 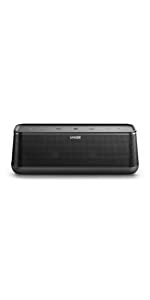 At $81.30, it was a lot more money than we were hoping to spend on a portable pool speaker. 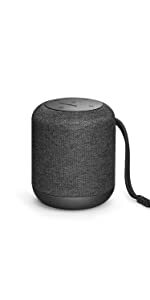 It was plain to see that this speaker just looked “ more expensive” than the other two models. Great packaging, a super long and thick USB charging cable that came in an eye-catching orange colored jacket. 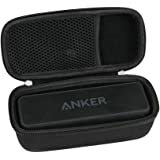 The speaker itself looked awesome too with its compact cylinder shape. 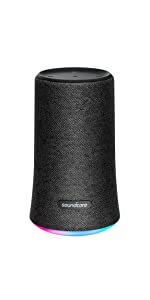 Enough about the appearance… a speaker is all about ease of use and more importantly -- how it sounds. 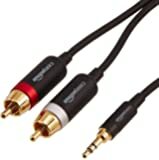 How did all 3 sound and how easy were they to use? 1. Cambridge SoundWorks OontZ Angle 3. Unfortunately, this speaker was the least inspiring of the three speakers. The sound was clear. However, it sounded tiny, none to very little bass. It projected a rather flat sound with the various music we played through it. 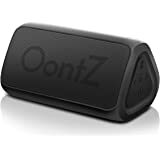 It was though extremely easy to use, and the Bluetooth worked flawlessly. I would generously give it 3 Stars. On sound alone, I’d say it’s more 2 Stars. 2. 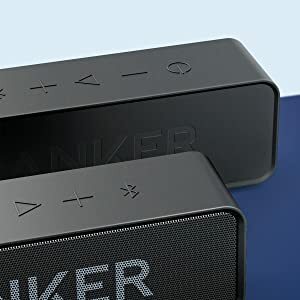 Anker SoundCore – This speaker was hands-down better than the Cambridge SoundWorks OontZ Angle 3 for just a few dollars more. Lots of great features – all of which worked perfectly. 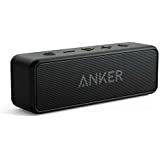 The only downside of the Anker SoundCore was that it lacked bass. 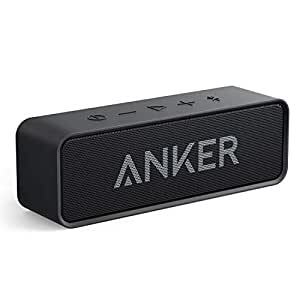 The sound coming out of the Anker SoundCore is very balanced and fairly loud for such a small speaker. 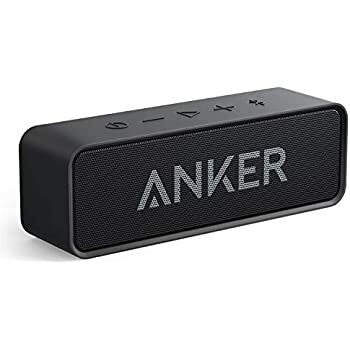 I would lean more towards the 4 Star mark on the Anker SoundCore simply for delivering a very nice, balanced sound quality, and is capable of filling a small room. 3. 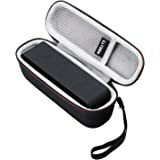 JBL Flip 3 Splashproof – At $81.30, we were really hoping that this wouldn’t be a situation where “you get what you pay for”. Unfortunately, it was in the end. 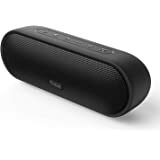 Regardless of the song, or the type of music we played through it, it was far superior to the other two speakers. It worked flawlessly and the sound/projection of sound coming out blew away the other speakers. 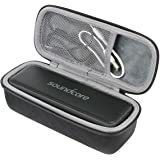 The Flip 3 Splashproof produced a rich, full sound that was extremely clear and thumped just the right amount of bass. It easily fills space with great clarity. All-in-all, the JBL Flip 3 Splashproof blew away this competition. 5 Stars. 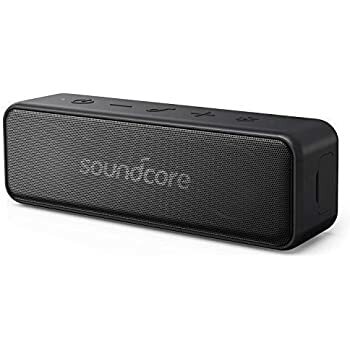 If you’re on a tight budget, you can’t go wrong with the Anker SoundCore. 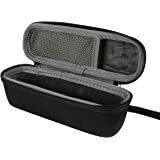 If you can swing the extra bucks for the JBL Flip 3 Splashproof – go for it! It sounds amazing! 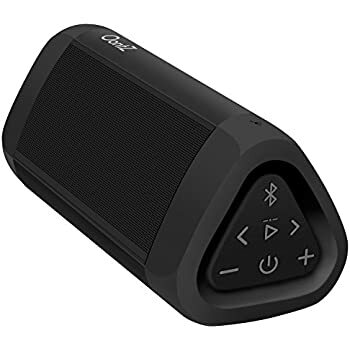 Update: Even though the JBL Flip 3 Splashproof sounds very good, the Bluetooth range is awful. 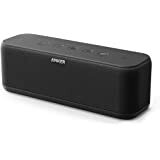 As long as your phone is within a very short distance of this speaker you will be happy. The Bluetooth range on the Anker is WAY better than the JBL. 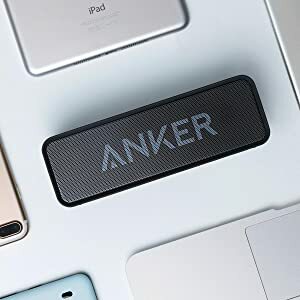 I love everything about this speaker except for one thing. Unfortunately, the one thing is that it is a complete pain to charge this thing. 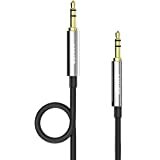 There seems exactly one sweet spot where the cord and the speaker connect and will actually charge. It can take a very long time to find the sweet spot. Then, it will only hold the sweet spot for a few seconds unless, by some miracle, the forces of the universe align and it will actually charge as it is supposed it. Additionally, this problem seems to be getting worse. Thankfully it lasts a long time on a single charge so I don't have to deal with this too frequently. 5.0 out of 5 starsHalf deaf senior can hear the tv!!! 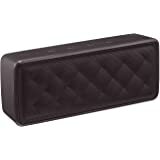 I purchased this speaker because my tv is 12 feet across the room and I am a senior with hearing loss. My tv is louder than normal and always told by family it's too loud. I decided to try this item out since so many great reviews. Took 2 or 3 times to Bluetooth to my tv but that's because I didn't set it right. Now, I put the speaker on and I was disappointed the speaker wasn't that loud. I was ready to send it back. Then something told me to check the audio on tv. I thought I had the type of audio wrong checked which may have lowered the volume due to the type of audio. But, before I could do that, I noticed that the volume on the tv was low. Naaah, that couldn't be the problem could it? Well, I raised the volume on the tv ( the tv doesn't get louder) and guess what! THE VOLUME ON THIS SPEAKER WAS BLASTING!!!! I then had to lower this speaker because it was too loud! 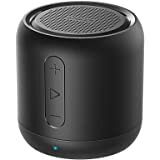 This speaker is great, great and GREAT!!! 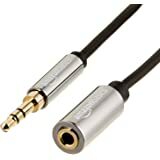 Great sound! U will not be disappointed!!!! Take it from a half deaf senior!! !